We’re a bright clean modern facility. Dogs love it here and feel right at home as they settle quickly into our comfortable, cozy cottage life. Our fun daily routine keeps your pet active and happy, yet time to have some quiet rest time too. There are 6 separate large clean exercise play areas (yards), which allows us the freedom to place your pet in the play group that most suits him or her. This way every dog can have a pleasant experience. Ideally, we’ll have a maximum of five pets in one of our secure 8’ fenced play areas. The dogs will spend the majority of their day interacting and playing with a small group of dog friends and our caring staff. For Meal Times (breakfast & dinner), Nap Time (from noon to 2 pm) and Night Time your pet will have his or her Individual kennel located in one of our 4 private rooms. Each of our rooms houses 5 spacious secure kennels. We also have a separate area for our small visitors including a separate room with extra heat to keep them comfortable. K9 Country Cottage is a small facility specializing in treating your pet as a special guest with lots of TLC. K9 Country Cottage is easy to find, very accessible with great parking. Our Goal is to Ensure that Your Dog is Well Looked After and HAPPY. Thank you so much to all of you who cared for Jax. It was such a good feeling knowing he was getting well cared for while we were away on holidays. From my recent dealings I have noticed that K9 CC sincerely cares for all the dogs. You run a well organized and clean facility and by far are the best kennel in town. I also want to especially thank Sue for her kindness and caring ways towards Jax and her excellent communication with me. Many thanks again K9 CC staff. You all are amazing! Sorry for the delay in sending this big Thank You !! I am happy to provide a testimonial about K9. Mac is a very high energy puppy who really enjoys his stays at K9; he especially likes the social time and the walks and always comes home happy. 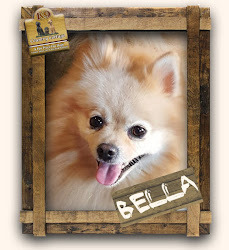 We are happy to have Bella with us! Jenna Ned. Simple theme. Theme images by andynwt. Powered by Blogger.